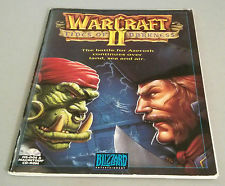 I happily read through the Warcraft II manual before getting anywhere near a computer. Today, a digital game manual is a relic from another age. Image from ebay. It wasn’t long ago that every digital game came with its own manual, just like board games do today. An excited new game owner would pour over the manual, learning how to play the game before ever putting it in a computer or console. It was an expected part of the whole video game experience. Today, few digital games have manuals. Some have online databases full of information for players willing to dig through them, but most games teach you how to play through tutorials and level design. I’m currently working on a digital game in addition to multiple board games. In order to test those games, I have to teach people how to play, so I deal with both writing rules and programming in-game guidance. Seeing the process from both perspectives has me thinking, what’s so much better about interactive learning experiences? Why have they almost totally obsoleted written rules for digital games? And perhaps more importantly, how can we leverage strategies from tutorials and level design to make learning board games less work and more fun? Today, it would be absurd for a digital game to expect the player to learn how to play before starting the game. Written rules have all but disappeared. Now, the game teaches the player how to play during play, either through tutorials or subtly through level design and psychological cues. Why? What advantages does interactivity have? Learning in context. Learning while playing the game puts the player in the context where the information will be used. She doesn’t have to translate from words to game pieces-she can see and hear them. There is no disconnect between single dimensional writing and the two or three spacial dimensions and temporal dimension of the game. Teaching where the lessons will be used reduces the number of mental jumps the player has to make. Different learning styles. Different people learn in different ways. Some are visual learners, some audio learners, some learn by doing. I believe most traditional gamers learn by reading and understanding abstract systems. If you want your game to be more widely accessible and appealing, make it easy to learn for people with different learning styles. Conveniently, your game probably involves visuals and doing–why not leverage those to help teach the game? In Assassin’s Creed, you don’t learn how to kick someone to break his defenses until you’re good and ready. Image from Tech Supersite. Learn when you’re ready. Usually, reading rules involves reading all of the rules before trying any of them out. Players are presented with advanced rules before they get the opportunity to fully understand the basics. By learning while playing, players get a chance to master one concept before being introduced to another. They are also only introduced to a concept or rule when it’s relevant. This is especially important for edge cases. When described in rules, the player will often not understand when an edge case would come up, why it needs a special rule, and what the relevance of the edge case is. 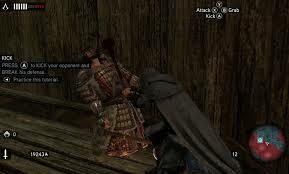 During an interactive experience, the player can be put in a situation where the edge case comes up, making sure the player recognizes why it matters. Immediate feedback. When reading a rule book, it’s easy enough to think you understand something, only to find out when you start playing that your grasp is more tenuous than you thought. By learning as you play, you can rest assured that it will be immediately apparent if you don’t understand something, so you can correct your understanding while the concept is still fresh in your mind. Motivation. Your player wants to play the game, right? By teaching the player while she plays, she’s getting whatever reward your game offers (experience, unlocked levels, points, story progression, bragging rights, etc), which is a much more direct motivation than eventually being able to play the game. Digital games have abandoned written instructions, but they are still standard for board games. Is there any way for board game designers to leverage the strategies employed by digital game designers to make their games easier to learn? I’m not proposing that all of the following strategies were inspired by digital game tutorials, but I do believe they take advantage of many of the same strategies. Stack the deck. Often employed for demos, if the deck is stacked, or the scenario is carefully controlled, the new player will encounter rules in an orderly fashion. Simple encounters can precede complex ones, so players get a chance to learn the basic rules before being exposed to advanced rules. For some games, namely scenario based games, this works great. Unfortunately, many games are not so orderly, so controlling them is much more trouble than when a computer can take care of most of the work. Asking your player to order the cards (or learn how to set up a scenario) before trying to play is asking a lot. Hide some content. Many games advise first time players to ignore certain rules or remove certain game components when learning the game. This way, complex content can be saved for a later play session, and the game can grow with the players. Risk Legacy shelters new players from advanced rules in a thematic way that actually adds to the fun. Image from Thoughts from the Game Room. 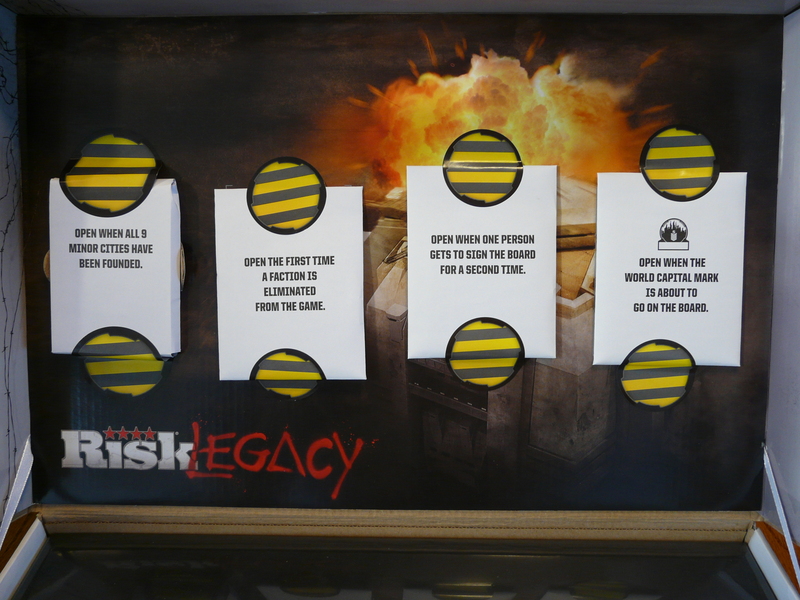 Risk Legacy takes this to unprecedented levels, actually keeping content sealed until players have completed specific tasks in game. 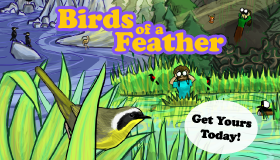 This not only offers a fun reward, it ensures that players are ready before being introduced to more complex rules. Expansions. A natural extension to omitting some rules the first play through is to not buy all of the game when you try it. Game expansions hide complex content from new players by not providing all of the content when the game is first opened. In game progression. Some games employ different decks of cards or other components that players encounter sequentially while playing (think ages in 7 Wonders). When using this strategy, game designers can save complex content for later stages of the game, after players are familiar with the base rules. If you can’t beat them, join them. Perhaps copping out a little, digital versions of board games can just employ tutorials and clever level design to teach a player, who can then translate the rules to the cardboard version. In a world where everyone has computers in their pockets and access to thousands of games at the tap of a finger, spending a few minutes letting the computer teach you how to play a game has never been easier. Reviews and online videos. Reviews aren’t only a great way to validate and get word out about your game–they can also teach a good portion of your game to anyone with an internet connection. I also recommend creating your own how-to-play and game-in-action videos, especially if you’re running a Kickstarter. Examples. A tried and true strategy, including examples in the rules gives an excuse to use images to help visual learners. They are also a great way to emphasize unusual rules and edge cases. Graphic design. While cardboard can’t be animated, highlighted, or hidden at will, graphic design can still be employed to make a game easier to understand. Spatially group related elements together. Use typefaces, colors, and icons to convey meaning. Have a natural progression on your board for your players to follow. In this way, players can focus on what’s relevant at a given time and ignore everything else. Quick references. Having an abridged version of the rules for players to quickly reference is a great way to make them easier to digest. Players then only have to reference the complete rules when confusion arises. Similarly, giving each player a reference card is a great way to highlight important information and group related rules, such as allowed actions and scoring. Theme. Not exactly borrowed from digital games, employing theme is one of the most useful ways to make a player understand how something works. For games with well executed themes, players can often anticipate how a game piece will work without needing to reference the rules. Giving a rule a thematic justification makes it more meaningful and gives your players an extra way to remember it. I recommend giving thematic justifications to unusual, important rules and edge cases whenever possible. While board games can’t fully leverage the tutorials and level design employed by digital games these days, many of the underlying strategies can be employed. Today I’ve shared all the ways I’ve come up with. Did I miss anything? How else can non-digital games break free from the shackles of front-loaded textual rules? Legends of Andor actually takes a neat approach to this, where the first two scenarios teach you various elements of the game as part of the goals for the scenarios. More of the rules are revealed and explained as they’re needed. I thought that was a very nice touch for a game that would otherwise probably be a little overwhelming to jump into. Just so we are being honest, computer games and applications have gotten rid of manuals because they cost money to print. And, I would argue, too many computer games and applications are sloppily designed and would be “busted” by their own manual. I agree… there are definitely practical reasons that digital games no longer come with manuals (would it make sense to ship one for a game that you bought on your phone for $.99?). That said, I do think it’s telling that digital games generally don’t even attempt digital manuals these days. There are practical solutions that better approximate the old read-first-play-later strategies that board games still often employ, but digital games have moved away from them.